Naoki Maeda is a Japanese composer and arranger from Toyonaka, Osaka. After graduating from the Osaka University of Arts in music (piano), Naoki joined KONAMI AM (Amusement Machine) Division in 1995. He served as composer and sound producer of TwinBee Yahoo! Fushigi no kuni de ouabare!! (ツインビーヤッホー! ふしぎの国で大あばれ!!) in 1995 and SALAMANDER 2 (沙羅曼蛇2) in 1996 under his エンゾニック前田 (Ensoniq Maeda) alias. Naoki was recruited by Yoshihiko Ota, a game producer at KCET to work as a composer on a brand new music game called DanceDanceRevolution in early 1998. Following the success of the first release, he became the sound producer of DanceDanceRevolution 2ndMIX, a role he kept until DanceDanceRevolution X. Naoki was also involved in the short-lived spin-off DanceDanceRevolution Solo from 1999 to 2000 as a composer. Outside of the DanceDanceRevolution series, Naoki contributed tracks to other BEMANI series as well, such as beatmania, Dance Maniax, beatmania IIDX, pop'n music, GuitarFreaks and DrumMania, jubeat and REFLEC BEAT. In 2001, Naoki formed the J-POP group BeForU with the four winners of the DanceDanceRevolution 5thMIX アーティストオーディション (Artist Audition) 2001. He was the main producer for the first three albums of the band and on Riyu Kosaka's first album, begin. In 2002, Naoki created TËЯRA with jun. By 2009, Naoki became more involved with the console releases of DanceDanceRevolution as a producer. Naoki also produced the original Xbox 360 game DanceMasters (known as DanceEvolution in Japan). He was also involved in its subsequent arcade release as DanceEvolution ARCADE in 2012. In the beginning of 2013, Naoki left KONAMI. Following his departure, KONAMI removed nearly all pictures or videos of him from BEMANI games. His last, playable songs for BEMANI were Everything I Need and You for the 2013 DanceDanceRevolution arcade game. Later in 2013, he joined CAPCOM. He served as producer for the mobile rhythm game CROSS×BEATS (2013) and its arcade releases beginning with crossbeats REV. (2015), both published by CAPCOM, until the ending of the series in 2018. In 2018, Naoki appeared in SEGA's CHUNITHM series with the song otorii INNOVATED -[i]3- and appears as one of the artists of オンゲキ (O.N.G.E.K.I.). In August, he founded an indie game studio, named UNLIMITED STUDiO, where he is currently working for an upcoming music game titled SEVEN'S CODE being published by CyberAgent, Inc.. Some of Naoki's favorite licensed Dancemania songs from the early DanceDanceRevolution titles are Have You Never Been Mellow, DAM DARIRAM, NEVER GONNA MAKE (FACTORY DANCE TEAM MIX), TRIBAL DANCE (Almighty Mix), and RIGHT NOW. Two of NAOKI's favorite music genres are ballads and R&B, as noted in the song comments for Remember You. According to an interview with bemanistyle in 2010, Naoki's favorite DanceDanceRevolution title is 4thMIX, as he felt it was the one where he was able to express his musical style the best. According to an interview Naoki did with Tatsh (as seen here - expand the second set of questions), finite budgets for the early DanceDanceRevolution games is why a lot of his earlier songs for the series used vocal samples. Naoki would finally get to record songs with newly sung vocals in the main series in DanceDanceRevolution 3rdMIX. Naoki appears in the intro video of DanceDanceRevolution (PS3). The Naoki "character" in SEGA's CHUNITHM comes with multiple forms and skills that all reference BEMANI in one way or another (Source). The evolved forms, aside the first one (Normal), are named, in order of level: Be For You (referencing BeForU), SEQUENCE UNLIMITED, MAXX and NMR. Naoki's forms, in order of level, reference the following BEMANI songs' jackets: Ignition∞Break, Flash Back 90's, UNLIMITED FIRE, THE FALLEN and VALLIS-NERIA. The Be For You skill COME ON '98！！ references DanceDanceRevolution's debut year (1998) and its effect references the number 180, which is PARANOiA's BPM and artist name (which has also debuted in the first DanceDanceRevolution game). The SEQUENCE UNLIMITED skill DIRTY FIRE's effect references the number 190, which is PARANOiA MAX～DIRTY MIX～'s BPM and artist name. The MAXX skill Ω references Naoki's Ω alias used in MAX 300, as well as in crossbeats REV. SUNRISE's 2020; its effect references the number 300 and 320, the maximum BPM of MAX 300 and MAXX UNLIMITED respectively. The negative part of the effect works like the LIFE4 modifier in the DanceDanceRevolution series, with four misses hard failing the song. The NMR skill スーパーノヴァ (Supernova) references DanceDanceRevolution SuperNOVA and its effect's numbers reference Fascination MAXX's artist name 100-200-400. The negative part of the effect has the song hard failing with a number of misses equal to 18, which is the difficulty rating for Fascination MAXX's both CHALLENGE charts. The CHUNITHM twitter's update announcement image covering the Naoki content has 革命 written in the background and the "ATTACK ALL JUSTICE!! / EXTRA NEW TRACK" text mimicking "ATTACK PERFECT FULL COMBO!! / ENCORE EXTRA STAGE" as seen in songs such as Over The "Period". SEGA has also released an album of songs by Naoki called Dynamite Dynamite Rev., which can be abbreviated as "DDR", as well as being one letter away from DYNAMITE RAVE. Naoki recently composed the song Wish me luck!!! !, which is used as the ending theme of the 2018 anime Harukana Receive (はるかなレシーブ). 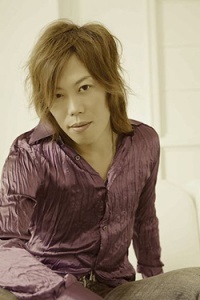 The lyrics for the song, written by Riyu Kosaka, marks the first collaboration between Naoki and Riyu since 2006. This page was last edited on 29 March 2019, at 01:49.